On November 29, 2018, New York Governor Andrew M. Cuomo announced the release of a second round of the Vital Brooklyn affordable housing Request For Proposals (RFP) to construct homes on seven parcels of land controlled by the State, owned by One Brooklyn Health, and the Health Science Center at Brooklyn Foundation. In consultation and coordination with Community Advisory Councils, New York State Homes and Community Renewal issued an RFP for seven additional Vital Brooklyn sites in the second round of the central Brooklyn affordable housing initiative, advancing the initiative’s $578 million goal to create 4,000 units of affordable housing. The housing units covered by this RFP will be developed on state-and hospital-controlled sites including six on the grounds of One Brooklyn Health and another on land owned by the SUNY Downstate Medical Center-affiliated Health Science Center at the Brooklyn Foundation. Many locations will host a new ambulatory care center, which are among 32 being advanced through the previously described $664 million healthcare transformation investment by the state. HCR is asking that proposals incorporate other elements that benefit the surrounding community, including retail and/or community facilities, green building practices, and public and health and wellness-oriented amenities such as open space and streetscapes that will help revitalize the area. Proposals for sites E, F, G, H, and I are due by February 28, 2019 and proposals for sites J, K, and L are due by April 30, 2019. 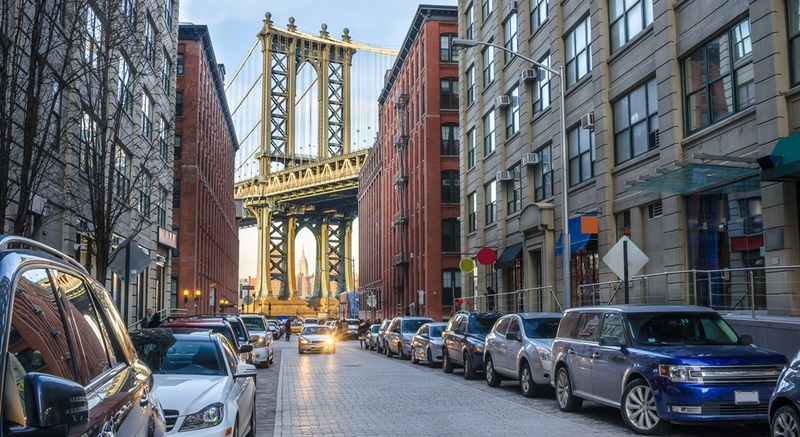 Featured photo (via Adobe Stock) shows a Brooklyn neighborhood with the Manhattan Bridge in the background.